The key to trip preparation is to pack smarter, not harder. You may feel the urge to plan for the unexpected, but filling your suitcase with a bunch of what-if items can really weigh it down. There’s nothing worse than unpacking after a long trip and realizing that you didn’t use half of the items in your suitcase. 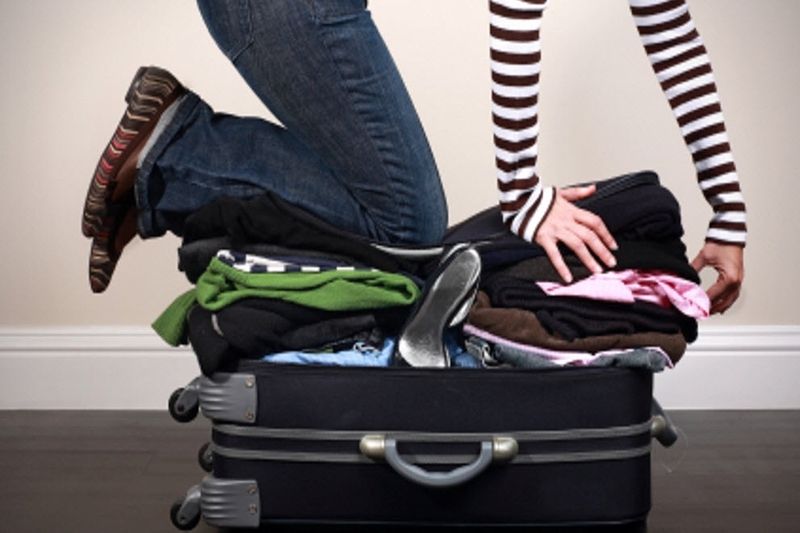 To prevent this from happening to you, here are a few things that you never need to pack. We get it, your hair is special. But honestly, packing shampoo, conditioner, a deep conditioner, a detangler, a comb, a brush, a roller brush, pomade, and hairspray is a bit aggressive. If you’re staying at a hotel, it will typically provide a complimentary shampoo and conditioner. And sure, they may not make your hair feel as silky smooth as usual, but they’ll get the job done. On the topic of hair, if I see one more woman pack her own hair dryer, I am going to scream. Even the compact dryers are clunky and take up a lot of space, and we can’t forget to mention that most hotels have hair dryers for guests to use. If by some odd twist your hotel doesn’t have a dryer, just let your hair air-dry … after all, you’re on vacation. You need two pairs of shoes, max. We’ll let you choose which ones to take, but you can choose only two. They should be versatile, compact, and durable. Are you ever going to use that tripod you packed? How about that extra flash? And do you really need three different lenses? Getting an Instagram-worthy photo on vacation is important, but all the bells and whistles are unnecessary, unless you’re Annie Leibovitz. OK, so there are a few of you diehards that actually get up and work out on vacation. We applaud you. But the rest of you, and you know who you are, will never bust out those running shoes crammed in your suitcase. The only sweat you’re going to break is the one you get from sitting by the pool all day. Save some room in your bags, and leave the workout clothes and shoes at home. If your hotel doesn’t provide towels, you should probably reconsider staying there. Yikes!